I'm pleased to announce that my feature film 'Soldiers of Embers' is now finally completed and locked. Three months ago we completed but, following a test screening there were a few things bugging us that we felt needed tweaking to reach our high standard. We put in the time and now have a film that not only looks awesome but sounds awesome with a nice 5.1 surround sound mix. Big thanks to all the cast and crew on this production and a special shout out to director Danny Cotton - Filmmaker and 1st AD Adam Sturman - Filmmaker who have put in very long days and late nights with me to create something special. Still very surreal seeing my script come to life on screen. We now hit the film festival circuit with this film whilst distribution negotiations take place for both 'Soldiers of Embers' and 'No more lights in the Sky'. 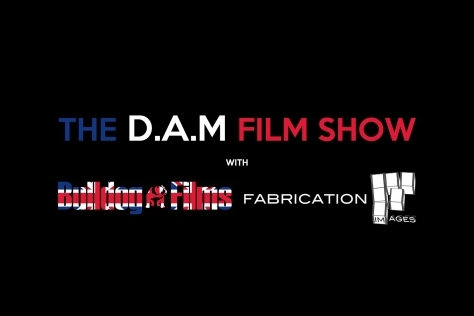 Exciting times for Bulldog Films and Fabrication Images. A fantastic double whammy of film festival official selections nominations for Bulldog Films and Fabrication Images this weekend. Feature Film 'No more lights in the Sky' has been nominated with an official selection at the Direct Monthly Online Film Festival. The trailer for feature film 'Soldiers of Embers' has also been nominated with an official selection at the Direct Monthly Online Film Festival. So proud to see two of our films having such a presence at this film festival as we are re-commencing distribution talks. Great to see the award winning team of Matt Long, Danny Cotton and Adam Sturman getting the recognition after so much non stop hard work. With post production on feature films 'Soldiers of Embers' and 'No more lights in the Sky' coming to an end, we are pleased to announce the multi award winning partnership of Bulldog Films and Fabrication Images continues bringing you 'Broken Promises' written by Charlene Aldridge. The short film will be directed by multi award winning director Danny Cotton and produced by multi award winning producer Matt Long. So after over two years of solid hard work we are tweaking the final pieces of British Feature Film Soldiers of Embers and the soundtrack is being finalised. I'm extremely proud of everyone involved in this film, i've had the privilege to work with some amazing people. As a Writer, Producer and Actor this is one of the hardest challenges i've undertaken but we have delivered. Special thanks go to Danny Cotton and Adam 'Norf' Sturman who have stuck by me and we've worked as a team to overcome so many hurdles to make this film. We are a passionate motivated team, thats why we have a reputation for getting stuff done. So to mark the occasion I thought i'd share an insight into the fun we had making the movie along with a sneaky listen to one of the tracks talented composer Bruno Di Micco has put together. Lots more awesomeness to come with other projects we have in the pipeline. 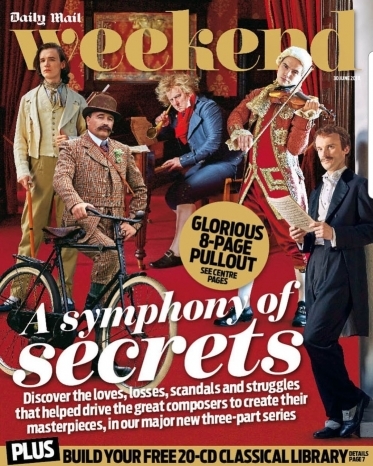 Two weeks ago Bulldog Films company director/actor/writer/producer Matt Long was on the front cover of the Daily Mail Weekend Magazine as 'Beethoven'. This weekend (14/07/2018) the full article will be released, pickup your copy. See the second TV interview for the second feature film 'No more lights in the Sky'. Another nomination for best Drama trailer at the Barcelona Planet 2018 film festival. 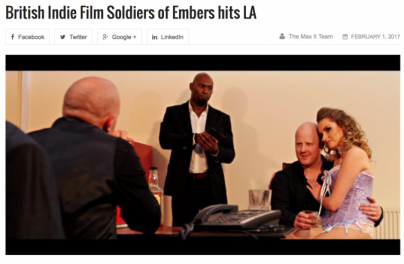 The finishing touches are being applied to Feature Film 'Soldiers of Embers'. Stay tuned for announcements coming shortly. On January 11th Matt Long, The Bulldog Films/Fabrication Images with be at the Canada Water Culture Space in London for the Gold Movie Awards Red Carpet event where the award winning trailer for No More Lights in the Sky will be shown. If your attending come and say Hi. WE WON!! Fantastic news today. 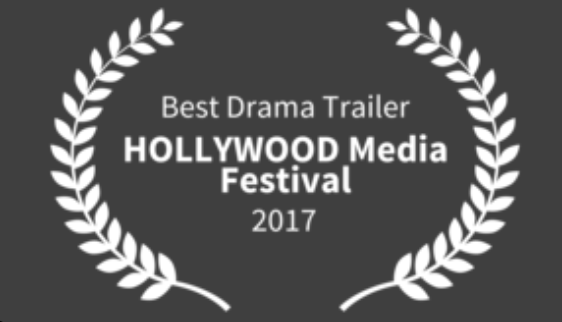 The trailer for feature film 'Soldiers on Embers' had its showing at the Hollywood International Media festival and WON 'Best Drama Trailer'. I couldn't be more proud of my cast and crew at the moment and a huge thanks for your commitment and support. So much hard work has gone into this film on a two year journey since I first sat down to write it. A massive thankyou to all the people, family, friends and businesses that also supported us. Thankyou to the Local Norwich press for supporting us with articles EDP/Eastern Evening News/Iceni Magazine, East Life Magazine, and LA Based Max It Magazine. Also thankyou to Mikey's Movie World for supporting us with interviews. Thankyou to Norfolk Constabulary for being so supportive over our filming in the region. Finally Special thanks to Danny Cotton and Adam Sturman, couldn't do it without those guys (15 laurels awarded now this year across two feature trailers). Another film festival laurel awarded for 'Soldiers of Embers' as a Finalist in the Hollywood International Media film festival. A combination of 14 nominations/wins across the two trailers for SOE and No more lights from this award winning Norwich based team. Fantastic news today. Another film festival WIN for the ‘No More Lights in the Sky’ trailer. That makes a total of 13 nominations and wins across two feature film trailers this year. I couldn’t be prouder of the fantastic cast and crew i’ve been working with. Great direction from Danny Cotton. 2018 will be a big year for Bulldog Films and Fabrication Images when these two British Indie Feature Films are released. Matt Long is a guest judge at the Miss Norfolk event. Click here for details. Checkout the trailer for No More Lights in the Sky from Fabrication Images under our new Collaborations Section.